Instantly downloadable sheet music by Sy Oliver for choir and piano (SSA) of MEDIUM skill level. Alle Notenausgaben von `Tain`t What You Do (It`s The Way That Cha Do It) zum Herunterladen bei VirtualSheetMusic. Alle Noten von Sy Oliver zum Herunterladen bei VirtualSheetMusic. Instantly downloadable sheet music by Richard Rodgers for choir and piano (3-Part Treble) of MEDIUM skill level. Alle Notenausgaben von My Favorite Things zum Herunterladen bei VirtualSheetMusic. 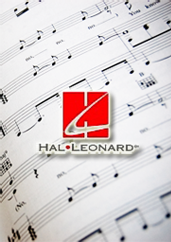 Instantly downloadable sheet music by Jay Livingston for choir and piano (SATB) of MEDIUM skill level. Alle Notenausgaben von Stuff Like That There zum Herunterladen bei VirtualSheetMusic. Alle Noten von Jay Livingston zum Herunterladen bei VirtualSheetMusic. Instantly downloadable sheet music by Barry Mann for choir and piano (SAB) of MEDIUM skill level. Alle Notenausgaben von Blame It On The Bossa Nova zum Herunterladen bei VirtualSheetMusic. Alle Noten von Barry Mann zum Herunterladen bei VirtualSheetMusic. Instantly downloadable sheet music by Kirby Shaw for choir and piano (SAB) of MEDIUM skill level. Alle Notenausgaben von Puttin` On My Ragtime Shoes zum Herunterladen bei VirtualSheetMusic. Alle Noten von Kirby Shaw zum Herunterladen bei VirtualSheetMusic. Instantly downloadable sheet music by Alan Bergman for choir and piano (SSA) of MEDIUM skill level. Alle Notenausgaben von Nice `n` Easy zum Herunterladen bei VirtualSheetMusic. Alle Noten von Alan Bergman zum Herunterladen bei VirtualSheetMusic. Roger Emerson – Feel The Beat! Instantly downloadable sheet music by Roger Emerson for choir and piano (2-Part) of MEDIUM skill level. Alle Notenausgaben von Feel The Beat! zum Herunterladen bei VirtualSheetMusic. Alle Noten von Roger Emerson zum Herunterladen bei VirtualSheetMusic. Instantly downloadable sheet music by Buddy Feyne for choir and piano (2-Part) of MEDIUM skill level. Alle Notenausgaben von Tuxedo Junction zum Herunterladen bei VirtualSheetMusic. Alle Noten von Buddy Feyne zum Herunterladen bei VirtualSheetMusic. Instantly downloadable sheet music by John Green for choir and piano (SATB) of MEDIUM skill level. Alle Notenausgaben von Body And Soul zum Herunterladen bei VirtualSheetMusic. Alle Noten von John Green zum Herunterladen bei VirtualSheetMusic. Instantly downloadable sheet music by Bob Russell for choir and piano (SAB) of MEDIUM skill level. Alle Notenausgaben von Don`t Get Around Much Anymore zum Herunterladen bei VirtualSheetMusic. Alle Noten von Bob Russell zum Herunterladen bei VirtualSheetMusic. Instantly downloadable sheet music by Kirby Shaw for choir and piano (SATB) of MEDIUM skill level. Instantly downloadable sheet music by Barry Mann for choir and piano (SSA) of MEDIUM skill level. Instantly downloadable sheet music by Roger Emerson for choir and piano (3-Part Mixed) of MEDIUM skill level. Instantly downloadable sheet music by Buddy Feyne for choir and piano (3-Part Mixed) of MEDIUM skill level. Instantly downloadable sheet music by Miles Davis for choir and piano (SATB) of MEDIUM skill level. Alle Notenausgaben von Nardis zum Herunterladen bei VirtualSheetMusic. Alle Noten von Miles Davis zum Herunterladen bei VirtualSheetMusic. Instantly downloadable sheet music by Marcos Valle for choir and piano (SAB) of MEDIUM skill level. Alle Notenausgaben von So Nice (Summer Samba) zum Herunterladen bei VirtualSheetMusic. Alle Noten von Marcos Valle zum Herunterladen bei VirtualSheetMusic. Instantly downloadable sheet music by Kirby Shaw for choir and piano (SSA) of MEDIUM skill level. Instantly downloadable sheet music by Bob Russell for choir and piano (SSA) of MEDIUM skill level. Instantly downloadable sheet music by Brian Tate for choir and piano (SAB) of MEDIUM skill level. Alle Notenausgaben von Java Jazz zum Herunterladen bei VirtualSheetMusic. Alle Noten von Brian Tate zum Herunterladen bei VirtualSheetMusic. Instantly downloadable sheet music by Bart Howard for choir and piano of MEDIUM skill level. Alle Notenausgaben von Fly Me To The Moon (In Other Words) zum Herunterladen bei VirtualSheetMusic. Alle Noten von Bart Howard zum Herunterladen bei VirtualSheetMusic. Instantly downloadable sheet music by Ben Oakland for choir and piano (SSA) of MEDIUM skill level. Alle Notenausgaben von Java Jive zum Herunterladen bei VirtualSheetMusic. Alle Noten von Ben Oakland zum Herunterladen bei VirtualSheetMusic. Instantly downloadable sheet music by Van Alexander for choir and piano (SAB) of MEDIUM skill level. Alle Notenausgaben von A-Tisket, A-Tasket zum Herunterladen bei VirtualSheetMusic. Alle Noten von Van Alexander zum Herunterladen bei VirtualSheetMusic. Instantly downloadable sheet music by Bert Kaempfert for choir and piano (SAB) of MEDIUM skill level. Alle Notenausgaben von L-O-V-E zum Herunterladen bei VirtualSheetMusic. Alle Noten von Bert Kaempfert zum Herunterladen bei VirtualSheetMusic. Instantly downloadable sheet music by Carolyn Leigh for choir and piano (SSA) of MEDIUM skill level. Alle Notenausgaben von The Best Is Yet To Come zum Herunterladen bei VirtualSheetMusic. Alle Noten von Carolyn Leigh zum Herunterladen bei VirtualSheetMusic. Instantly downloadable sheet music by Jack Palmer for choir and piano (SAB) of MEDIUM skill level. Alle Notenausgaben von Everybody Loves My Baby (But My Baby Don`t Love Nobody But Me) zum Herunterladen bei VirtualSheetMusic. Alle Noten von Jack Palmer zum Herunterladen bei VirtualSheetMusic. Instantly downloadable sheet music by Harry Warren for choir and piano (SAB) of MEDIUM skill level. Alle Notenausgaben von Chattanooga Choo Choo zum Herunterladen bei VirtualSheetMusic. Alle Noten von Harry Warren zum Herunterladen bei VirtualSheetMusic. Instantly downloadable sheet music by Bob Carleton for choir and piano (SSA) of MEDIUM skill level. Alle Notenausgaben von Ja-Da zum Herunterladen bei VirtualSheetMusic. Alle Noten von Bob Carleton zum Herunterladen bei VirtualSheetMusic. Instantly downloadable sheet music by Alan Bergman for choir and piano (SATB) of MEDIUM skill level. Instantly downloadable sheet music by Curley Hammer for choir and piano (2-Part) of MEDIUM skill level. Alle Notenausgaben von Hey! Ba-Ba-Re-Bop zum Herunterladen bei VirtualSheetMusic. Alle Noten von Curley Hammer zum Herunterladen bei VirtualSheetMusic. Instantly downloadable sheet music by Bert Kaempfert for choir and piano (SATB) of MEDIUM skill level.